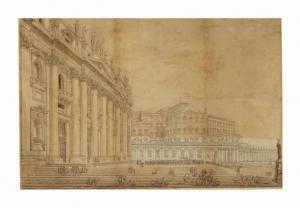 Find artworks, auction results, sale prices and pictures of Luigi Rossini at auctions worldwide. 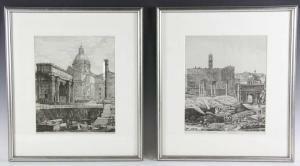 Lot 3841 DetailsShipping & PaymentAuction Terms & InfoLot 3841Pair of two Rossini architectural drawings of Rome, 1st edition, 1820, framed and matted under glass, 'veduta della scaro' 13" x 10 1/2" (frame measures 20" x 17 1/2"), 'veduta della campedoglio' 13" x 10 1/2" (frame measures 20" x 17 1/2"). Provenance: Cambridge, Massachusetts estate. 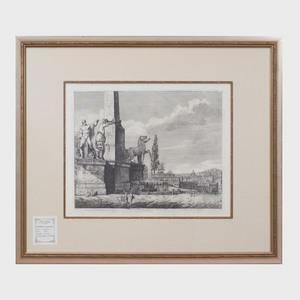 232 Luigi Rossini (1790-1857): Veduta Generale dei Gran Colossi sul Monte Quirinale Engraving in black on wove paper, 1829, with label from Aldo Di Castro, Rome. 14 x 17 3/4 in. (plate), 26 1/2 x 32 in. (frame). Property from the New York Stock Exchange Condition: Apparently in very good condition. Not examined out of frame. 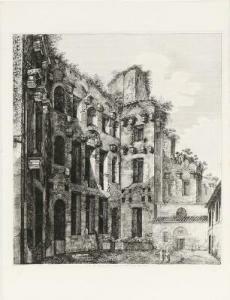 Rossini, famous as a printmaker in the tradition of Giovanni Battista Piranesi (1720-1778), is less well-known as a draughtsman (for some examples, see M.A. Fusco and N. Ossana Cavadini, Luigi Rossini, 1570-1857: Incisore: Il Viaggio secreto/ Engraver: The Secret Journey, exh. cat., Chiasso, Centro Culturale Chiasso m.a.x.museo, and Rome, Istituto Nazionale per la Grafica, 2014). 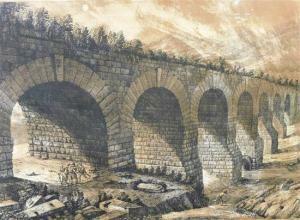 As do his etched views, this drawing stands out for its topographical accuracy. It may have been intended as a model for a print, although no such print appears to be known.